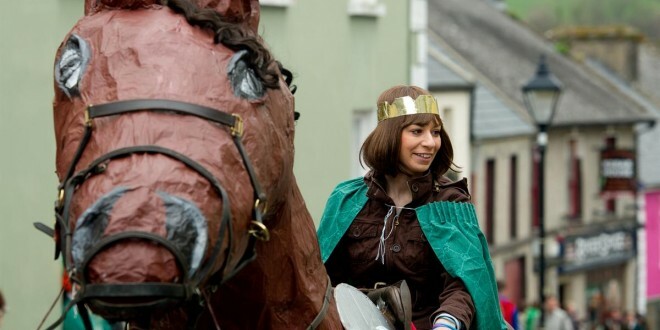 Tatiana Mikololaczka on horseback during the St Patrick's Day Parade at Killaloe. Photograph by John Kelly. 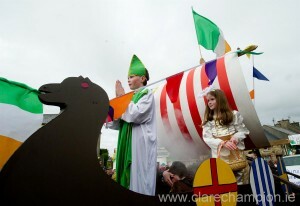 Edward McInerney as St Patrick during the St Patrick’s Day Parade at Killaloe. Photograph by John Kelly. 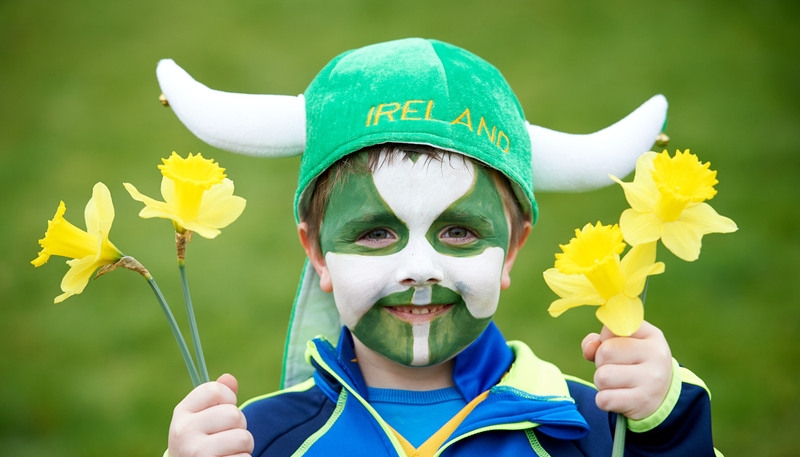 THE St Patrick’s Day parade in Killaloe was one of the biggest in the county, with enthusiastic crowd watching it cross from Ballina into Killaloe. The was plenty of colour and atmosphere, with a diverse range of floats, as well as bands and community groups. 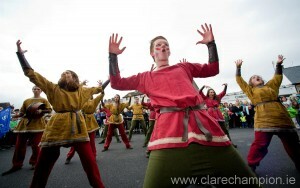 Members of the Kincora Call group in action during the St Patrick’s Day Parade at Killaloe. Photograph by John Kelly. The organisers were delighted that the parade, one of the key events in the Brian Boru millennium programme, was such an overwhelming success. 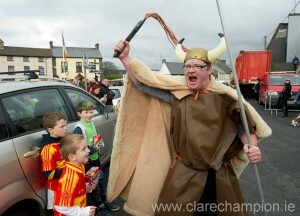 A mad Viking during the St Patrick’s Day Parade at Killaloe. Photograph by John Kelly.